If you are thinking about starting a VoIP traffic termination business, you already know that you need not only equipment, but also SIM cards for work. It is them to be used for calls making, when converting the calls from VoIP to GSM format. Every GSM gateway has slots where the SIM cards are inserted. 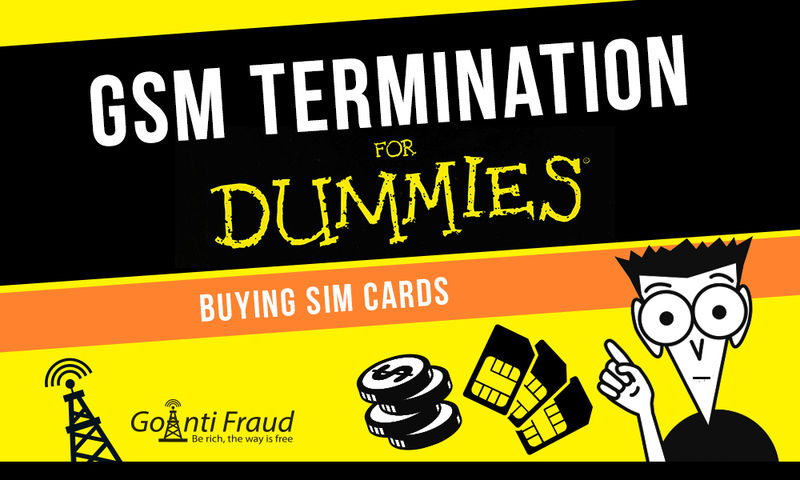 We will tell you about specifics of buying the cards for termination. How many SIM cards will you need? The number of SIM-cards depends on the number of channels you will work with. You need one SIM card for each slot (if you use a 32-channel gateway, you need 32 cards). Plus, mind that the cards will need to be replaced occasionally, so that the operator does not suspect termination. Therefore, you will need additional starting plans. You always need to have a stock. In addition, SIM-cards involved in traffic landing are blocked by special systems known as antifraud systems. The life of the cards can be extended by means of software solutions. But no tool allows 100% avoiding of SIM-blocking. Therefore, be prepared that you will always need to buy a large number of new SIM-cards. In this regard, it is important to choose a country where the cards are cheap. SIM-cards can always be bought in operators' brand stores, but in many countries you need to present your ID. Therefore, we recommend buying starting plans from street merchants, in kiosks, etc. If it is required to register a prepaid card and to produce a passport scan, you need to find the source of SIM cards already issued for someone. These are exactly the cards the street vendors sell in some countries. If you did not manage to find the street vendors, try to find a supplier on dedicated online forums and social networks. There are dealers who sell cards in large quantities exactly for these purposes. Get cards with non-consecutive serial numbers. Do not activate too many new numbers at one whack, one after another. Do not start a business until you have an effective software solution to minimize the SIM-block. The right approach to buying the SIM-cards for voice termination is one of the secrets of a successful business.